After 18 years of dedicated service to the arts in Cape Charles, Clelia Sheppard has announced her resignation as Executive Director and Artistic Director of Arts Enter, the organization she founded. As I step down from my role as Executive Director and Artistic Director of Arts Enter Cape Charles, I have a question. I want to know—what inspires you? An Eastern Shore sunset? A work of art that grabs you and won’t let go? Perhaps it’s seeing your child perform on stage for the first time, or hearing the right chord just when you need it most. When I first stepped inside the Historic Palace Theatre, with her worn seats and dark, quiet stage, I found my calling. To bring this gem back to life. To shine a spotlight on the people of Cape Charles and the lower Eastern Shore. To share my love of the arts. And to test my own limits and abilities: it was a personal challenge. Now, after 18 years, I must thank the people in our community who have shared the rigors and privilege of growing Arts Enter with me, those pioneers and serious volunteers who put their hearts into our mission of celebrating and teaching the arts, who will always be remembered for their hard work: In alphabetical order, Victor Abrahamian, Sue Anglim, Dianne Appell, Kathy Barefoot, Anne Bois, Anne and Andrew Bonniwell, Donna Bozza, Bill Burton, Marty Burgess, Jennifer Byler, Brent and Libby Carpenter, Jim Chapman, Evie Chapman, Marijana Cvijetic, Mary Ann and Don Clarke, Robin Cochran, Sarah Colson, Wayne Creed, Stephan Dulcie, David Feeney, Michael Flanagan, Keith and Gail Fox, Victor Gazzolo, David and Carol Glowacki, Maureen Green, Janne Guirin, Joe and Carol Habel, Christina Hardy, George Holmes, Mara Ifju, Rachel Isabelle, Susan Kovacs, the David Long family, Sandy Mayer, Vernon McCart, Larry McCluskey, Erik Medina, Vera Miller, Ellen Moore, Dora Mullins, William Neill, Bill Neville, Thomas O’Connor, Edie Outten, Ginnie Parker, Berkley and Joy Rayfield, Tommy and Francine Rayfield, Will Rickets, Chris Roll, Walt and Jean Roll, Tony Sacco, Virginia and George Savage, Malvina and Tommy Savage, Gwen Skeens, Kim Starr, Melissa Stein, Bill Sterling, Terry and Michael Strub, Nicki and Paul Tiffany, Ebba Tin Win, Sunny Trippel, Arthur Tross, Amy Watkins, Jack Woolley, Lyn Wyatt, and so many others. I cannot mention them all, but to each of you I am extremely grateful — you know who you are. The part I will miss the most is working side by side with co-director Mary Ann Roehm. She came in to help me with one of our very first playbills 10 years ago. And never left. She plunged right into the midst of this lively, multi-faceted organization with enthusiasm and dedication. The two of us tackled the jobs of what should have been an eight-person workforce! I have cherished the easy, harmonious way we worked as a team to make things happen. I am happy to continue serving Arts Enter on the board, which is fortunate to have such hardworking members to serve our community’s arts needs. I am grateful to each for their dedication: Pat Barnes, Cela Burge, Vanessa Cox, Luisa Gazzolo, Elaine Jones, Hank Mayer, Jan Neville, Sue Panek, and Mary Ann Roehm. I must also thank my family for their loyalty, support, and shared passion for the arts. Without their dedication over the past 18 years, Arts Enter would not have been founded nor would it have been able to continue. Under the tutelage and direction of professional actress and playwright Sheila Cardano, my mother, Arts Enter produced over 50 plays both for adults and children, taught drama to hundreds of eager students, and found consistent financial support. Renata Sheppard, my daughter, taught the very first dance class at Arts Enter when she was in high school. A founding member of Arts Enter, she has since pursued a career as an international artist, and returns every year to her beloved Cape Charles to teach and host workshops. She has developed international partnerships that have ignited new and exciting initiatives, including Harbor for the Arts and Experimental Film Virginia. My daughter, Sheila Sheppard Lovelady, taught violin, music, and played a pivotal role in the successful writing of the Our Town Harbor for the Arts grant. At the age of 10, Sean Sheppard, my son, was Arts Enter’s first light and sound technician, running reel-to-reel films on the vintage projector. Clelia Jane Sheppard, my youngest daughter, performed vocal solos on stage and shadowed me every step of the way while playing Little Ponies with her best friend Alex Rich, tucked between the dilapidated auditorium seats during endless rehearsals and meetings. 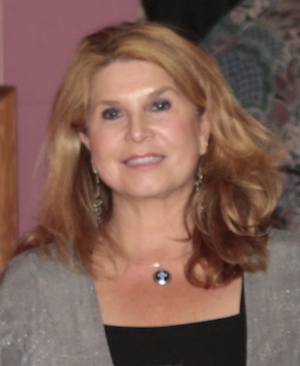 Luisa Gazzolo, my sister, has been a solid supporter, actress, and loyal board member. My husband, John Sheppard, quietly offered his support when Arts Enter most needed it, even at times when our family could least afford it. His generosity has been essential to Arts Enter’s success. My family has grown up within the walls of the Palace Theatre. At the beginning, funds were practically nonexistent, grantors were skeptical, and some members of the community were perplexed by the initiative. But our vision was pure, simple, and humble: to bring the arts to Cape Charles. And there was no stopping us. Original plays written and produced for the Northampton Chamber of Commerce, local schools, regional retirement homes, and the local community, including the sold-out epic story of the Eastern Shore, the original Piece of Eden. Today, after 18 years of pro-bono service, I can step down — but not out — knowing that the Arts Enter I founded exists today with the potential to attract an incumbent executive director who perceives our organization as a unique opportunity, a place that stands on its own two feet. When this happens, my service will have come full circle. I remain a board member ad infinitum and I shall continue to serve as a supporter, plunging into an occasional stage production (can’t live without theatre, this has not changed!). The Japanese artists Eiko and Koma said that the end of one artistic project is the beginning of the next. I hold on to this poetic truth as I concentrate on my own artistic journey, painting, traveling, and supporting blossoming fledgling projects such as Experimental Film Virginia and, most importantly, being there for my expanding, beloved family. I close a personal chapter to a universal book that continues to be written by my fellow supporters of the arts. Arts Enter is just one dream of many in the arts, one that I am grateful to have embraced. What a legacy Cleilia has left for our community! Her hard work and dedication have truly been appreciated. My hope is for the arts to continue to be an important part of this area ! Thank you Cleilia for providing so much entertainment and enjoyment to the eastern shore. You have made a difference in our community. BRAVO! I no longer live on the Shore, but when I lived there I enjoyed so much going to the Palace to see what ever was offered, such good talent and good wholesome entertainment. Thank you Cleilia and staff. God bless you in your days ahead. Thank you Clelia! You have been a blessing to us all! Thank you for the gift you have given our community. The countless hours and creative energy you have dedicated to Arts Enter have been appreciated by multiple generations of residents and guests to the Eastern Shore. Enjoy your family and Godspeed on your future endeavors! Thank you for all you and your family have done to promote the arts in Cape Charles. The art scene adds so much that is good to the quality of life in a community. Your vision and the implementation of your ideas have forever changed the Eastern Shore in so many ways. Thank you for your tireless efforts. Thank you Clelia for all of your hard work and dedication. You never gave up on your dreams, even during the tough times. I enjoyed working with you. You are truly an inspiration.